For over 55 years, Kessler-Ellis Products (KEP) has provided flow instrumentation, displays, counters, timers, rate meters, PLC operator interfaces, HMI software and contract manufacturing products to customers worldwide. 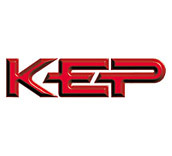 At Controls Warehouse, we carry a wide variety of high quality KEP products in stock and ready for shipment. We are capable of programming any of these displays, controllers, etc. before their shipment to make your installation a breeze. Also offering custom enclosures and features, such as push buttons, relays, wiring terminals, etc. to meet your needs/application. Need assistance programming an existing unit or having trouble with a display? Please contact us for a programming walk through or one on one troubleshooting to determine the issue. To learn more about our full line of KEP products, please contact us directly or view the spec sheets below.